Part of pond maintenance is to make good choices for your pond. Fish, plants, pump/filters and anything else you use in your pond needs to be items you trust, from trusted retail or pond maintenance experts. 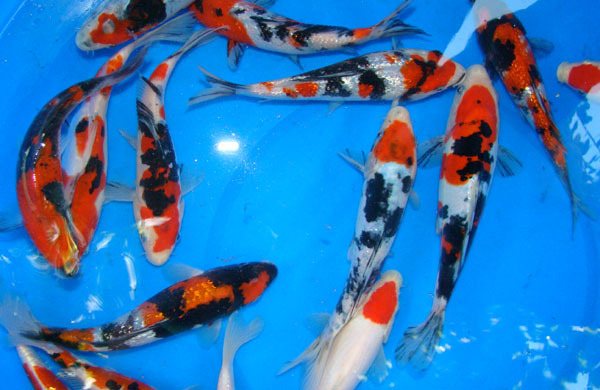 When purchasing new Koi or other fish from your pond dealer, there are certain things that you should look for and ask about to make sure that you are receiving healthy fish. Here are a few Tips for buying healthy fish for your pond or water garden. Cleanliness – Is the tank clean or do you see old food and debris on the bottom. Does the tank have good circulation and filtration? Quarantine – Does the retailer quarantine their fish and for how long? It is very important that all fish are quarantined for at least 14 to 21 days for salt treatments to ensure the fish are not carriers of disease or parasites. This goes for you too. If possible it is a good idea to quarantine any fish you purchase as well. Water Testing and Changes– Find out how often the water is tested and changed. Testing the water monitors ammonia and pH levels, as well as nitrites and nitrates indicating when the water should be changed. It is recommended to do a partial water change once a week in most cases. Net Sharing – It is recommended that different nets be used for each tank to limit the possibility of spreading disease from one tank to the next. Sizes – You need to take the size of the fish into consideration so you don’t overstock your pond. Remember, 1″ for every square foot of surface water or five gallons. Knowledgeable Staff – You want to purchase fish from a knowledgeable and honest merchant that can help educate you about your pond and pond wildlife. 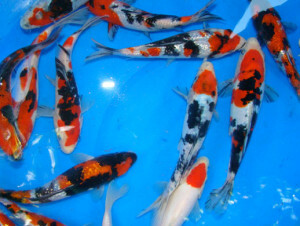 Buying all your fish and critters from one trusted source helps to insure your pond will have happy and healthy fish. It is hard to isolate problems if you go from one dealer to another.